Hanesbrands shares have run up 50% this year so far. The company has further deleveraging to do in order to make it an attractive investment. At the right price, the risk is worth purchasing shares. 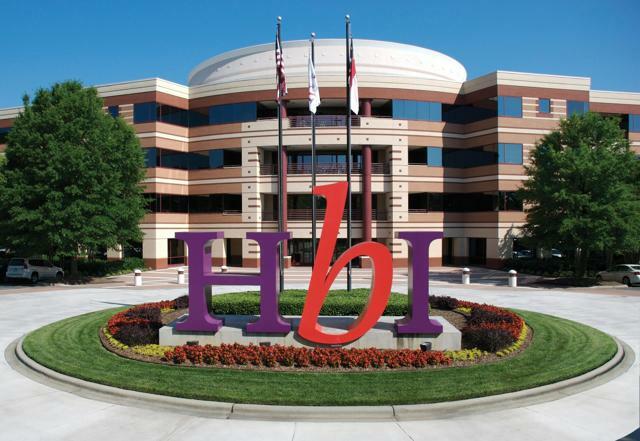 Hanesbrands (HBI) shares were once on fire before starting a long disappointing earnings trends that keep leading the shares lower. Quarter after quarter the company would lower then raise guidance taking investors on quite the ride. The stock has rebounded from the December 2018 lows, and now the stock is approximately 50% higher. While the company still has a decent amount of leverage holding shares back, I believe the company is able to cover its obligations. We review if and where shares may be worth purchasing. In the most recent quarter, the company beat on both the top and bottom lines. This shouldn't come as a surprise as the company lowered guidance a few times to meet expectations more handily. The more impressive result was the year-over-year growth in revenue of 7.3%. However, earnings were a bit lower than the $0.52 reported in the fourth quarter of 2017. The company was able to produce cash from operations of $502 million in the quarter which allowed it to reduce debt by over $400 million. This now puts its leverage to 3.3x EBITDA. Within the company are multiple brands with market leading positions. A great way for the investor to play the basic consumer apparel market, as we all know underwear, socks, and bras are not going away anytime soon. 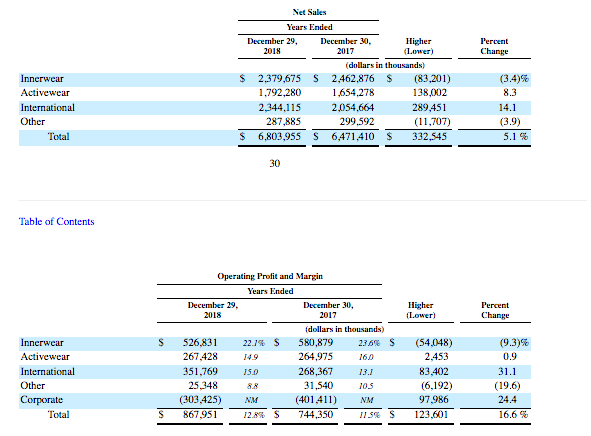 The company is not guiding for much growth, with 2019 guidance of $6.885-$6.985 billion in sales, and an adjusted operating profit of $955-985 million. While neither of these are thrilling to investors, the more important focus should be on cash flow which shows a healthy amount of growth. This allows the company to continue to delever and deliver shareholder returns. The company has a history of making acquisitions which could of course throw it off course in its guidance to shareholders. However, this will have to be watched and hopefully management focuses more on the balance sheet. On a positive note, the debt continues to be reduced as the company went on an acquisition spree over the past few years. While total debt only decreased by $200 million, it was a decrease none the less. The plus side of the company making all these acquisitions was the diversification in revenue streams. 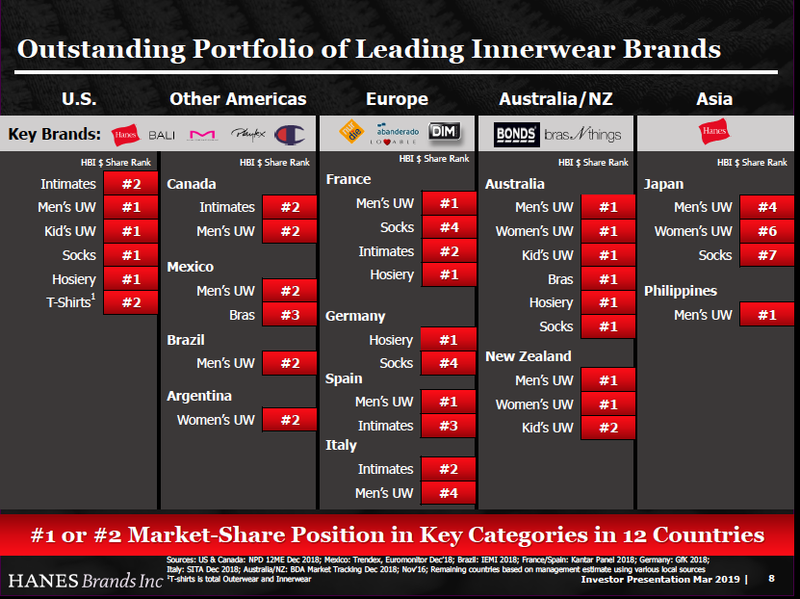 Once a company dominated by innerwear it now produces significant revenue from activewear. This has been a main source of growth for the company along with international. Profit margins continue to remain under pressure which is also a negative. It is obvious in the fact the company is predicting more revenue but about the same profit in the coming year. If the company can find a way to improve its margins, I believe investors would gladly reward the stock. There is value to be had in the fact the company owns many of the leading brands for the categories in which it sells. This typically is driven by consumer behavior to buy what they know works when buying simple clothing. The everyday consumer sticks to the same underwear or socks that they know has worked for them for years. They are not generally looking to switch brands for this. The company has immense value in the fact that consumers love its brand and this should not be overlooked. That being said, the valuation must make sense from an operational standpoint. While brand power is important, its clear margins are still being affected and pricing power is not present. 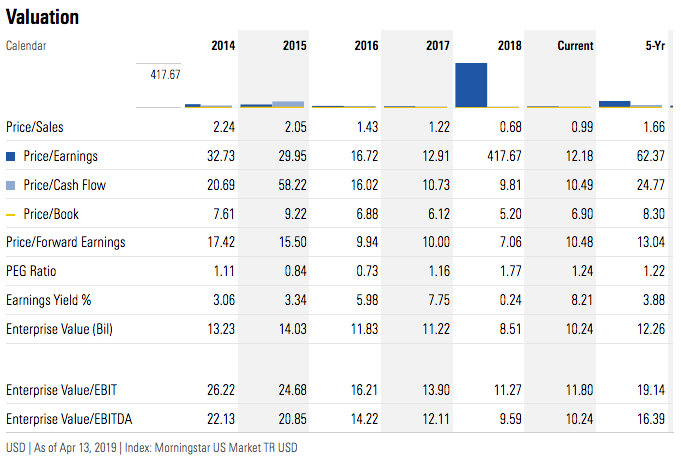 Compared to peers, the company trades at an attractive valuation. 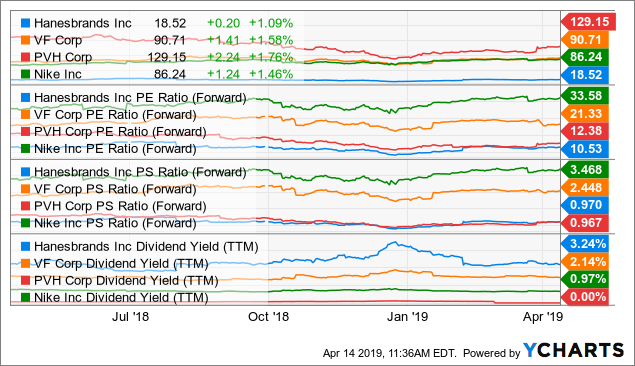 As we can see above, HBI offers a better forward P/E, yield, and P/S ratio than those in its peer group. This should provide investors with confidence that they are getting the cheapest in the apparel sector. Though, it should be noted the company is not operating as strongly as these peers. An investment now would be in hopes for a better future that the market currently is not expecting. Versus its own history, the company trades at attractive valuation levels as well. The company trades below its 5-year average for P/E, P/S, P/CF, and forward P/E. This signals that now would be a better time than any in the past 5 years to purchase shares from a fundamental valuation standpoint. Additionally, the company has a higher than average yield and offers a higher earnings yield. Dividend growth investors should be aware there has not been a raise since the first quarter of 2017. I believe management is right in pausing raises in order to reduce debt first. 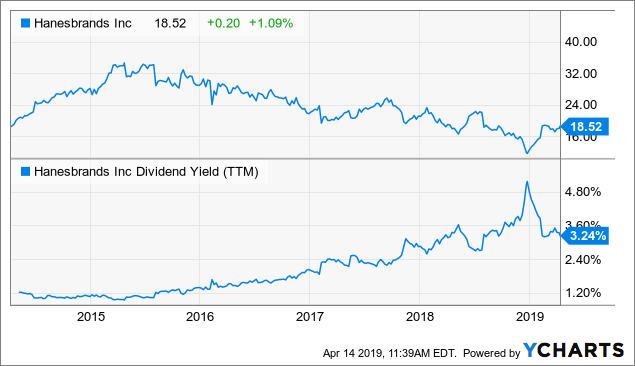 Once the debt has reached a more reasonable level, investors should expect resumed dividend growth. At this time, the dividend is still yielding a respectable 3.25%. 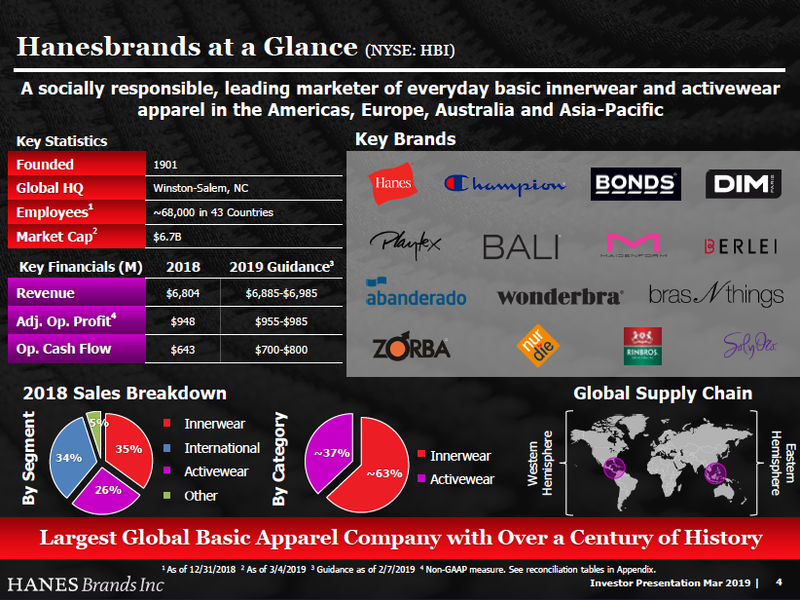 So what do we think about Hanesbrands as an investment today? Well, after several quarters of disappointing growth, the shares are now priced as they should be. While the company is not doing horribly, we are in an economically positive part of the cycle so the concern becomes what happens to the results during a recession? The company cannot seem to improve margins and is under pressure from continued retailer bankruptcies; the question is what is a fair price for a company with little earnings and revenue growth? That all depends on what someone is willing to pay while waiting for the story to turn around. The investor will be paid an enticing yield to wait, but must be patient as the story continues to develop. I last wrote saying I believed shares would be fairly valued at about 12x earnings. Sure enough, that is where shares currently trade. I believe the company has more to work to do before shares can move higher from here, and I believe there is risk in management executing 100% as it hasn't been doing so lately. Investors should keep an eye on the earnings, inventories, and debt levels going forward as these would help signal more positive times and suggest an entry point for the stock. Right now, shares may continue to trade sideways until there are more positive developments.